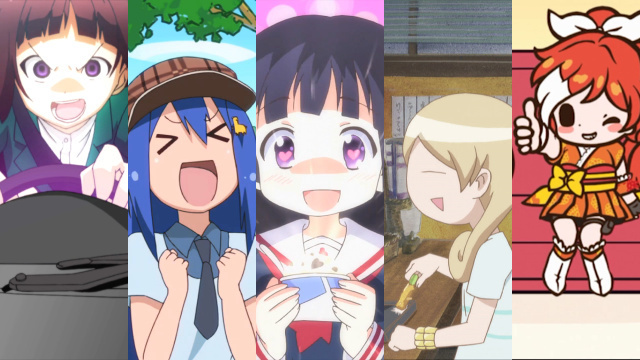 Wrapping Up 2015: Five Short-Form Summer Anime Series – Nigorimasen! My rate of keeping up with newly-debuted anime series has fallen in the past few years. I had decided to not participate in this year’s Anime Secret Santa project since I figured I might not be able to completely watch and subsequently write a review of a recommended anime within the given timeframe. I also passed on joining other bloggers in the 12 Days project that started on December 14th because I didn’t feel like I had completed enough anime since January to adequately compose 12 posts. I ended up beginning more series from 2015 than I’ve finished and there are others I would still like to try out, though I likely won’t get through those until the first couple months of next year. (My curiosity in wanting to sample new shows has gradually led to a long list of half-watched anime, especially since the growth of simulcasts has allowed me to easily try out a first episode on a whim.) I’ll attempt to wrap up watching as many 2015 series as I can before year’s end and write about the ones I complete. The bulk of my current anime watching involves series with episodes lasting less than 15 minutes. Those shorter runtimes mean smaller weekly time commitments for me as a viewer and also mean the shows featuring those shorter episodes sometimes have more focused writing and pacing compared to their full-length counterparts. Over the past few months, I completed watching five such anime from this summer. This follow-up to the 2013 android idol comedy series featured Miss Monochrome putting together parts of her upcoming live concert tour with the help of her manager Maneo, her robot companion Ru-chan, a dual-nature promoter named Yayoi, and other people along the way. Monochrome started to show more humor in season 2 including making some joking suggestions that Yayoi mistook as serious requests. I’ll likely watch through the third season, which began in October, within the next week. Another batch of 12 fast-paced gag comedy episodes that takes less than a half-hour to watch. Like how Miss Monochrome went straight from season 2 to season 3, Teekyu rolled into its sixth season in October (and will transition into season 7 in January). My favorite 2015 show among the ones I’ve completed so far. It was fun to watch the rich and out-of-touch Wakaba striving to become a normal high school student with the help of her classmate friends. 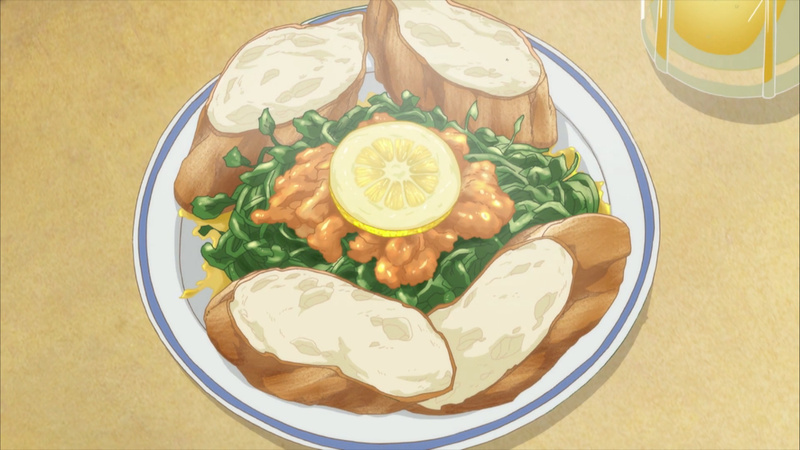 This dining-focused series was a late addition to Crunchyroll’s simulcast lineup in mid-August. Each episode was only two minutes long but still managed to pair good-looking dishes with Wakako reflecting on what she’s eating. Bearing an American comics-themed opening and a cute, poppy ending sequence, Wooser’s third season was more ambitious in its episode subjects than past seasons, such as a game of Werewolf where the main camera rotated at the center of a table the characters sat at and another where characters opened and closed coffins lying on a beach. Tagged Anime, Miss Monochrome, summer 2015, Teekyu, Wakaba Girl, Wakako-zake, Wooser’s Hand-to-Mouth Life, Wrapping Up 2015. If Hackadoll wasn’t a short anime I would say it’s the anime I enjoyed the most this season. I also really liked watching Hackadoll! It was one of many simulcasts I kept up with on a weekly basis during this season.